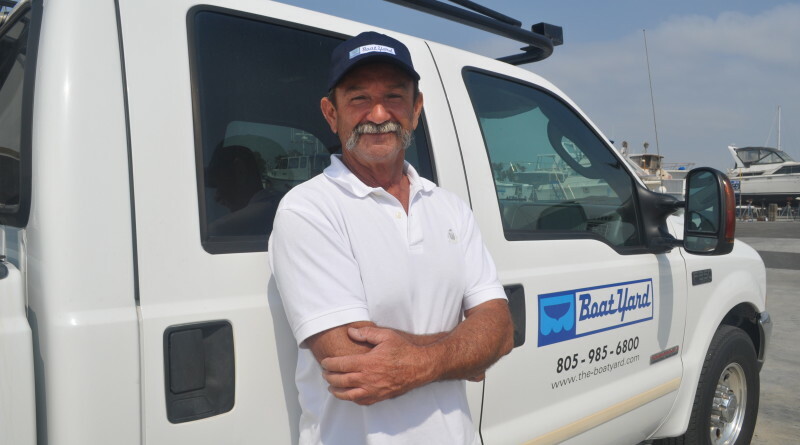 Joe Camello was recently appointed general manager of The BoatYard Channel Islands. CHANNEL ISLANDS – Joe Camello, and previous co-owner of Colonial Yacht Anchorage, is teaming up with The BoatYard Channel Islands to fill the role of general manager, the company announced Aug. 24. Camello will be responsible for managing and supervising all activities at The BoatYard’s repair yard, dry storage, and marina. Greg Schem, president of Harbor Real Estate Group and owner of The BoatYard in Marina del Rey and Channel Islands, purchased the facility from Frank Butler in 2014 and has been searching for an ideal candidate for the general manager position. He was thrilled to discover Camello. Camello’s family emigrated to the U.S. from Italy in 1958, moving to San Pedro where his father was employed at Colonial Yacht Anchorage. His father bought out the owners of Colonial in 1981 and it stayed in the family for another two decades. Unfortunately the boatyard faced hard economic times during the Great Recession and was forced to close in 2012. Although Colonial closed, Camello continued to assist patrons of his family’s yard by consulting one-on-one with repairs and maintenance, accompanying previous customers to yards to make sure jobs were done correctly. “I was grateful to still be able to help friends from Colonial, but missed being part of a boatyard. Working at a yard feels like being home, and I am drawn to that sense of community,” said Camello.